The CRB was the standard to measure the commodity index until Goldman Sachs introduced a consumption weighted index, the GTX. 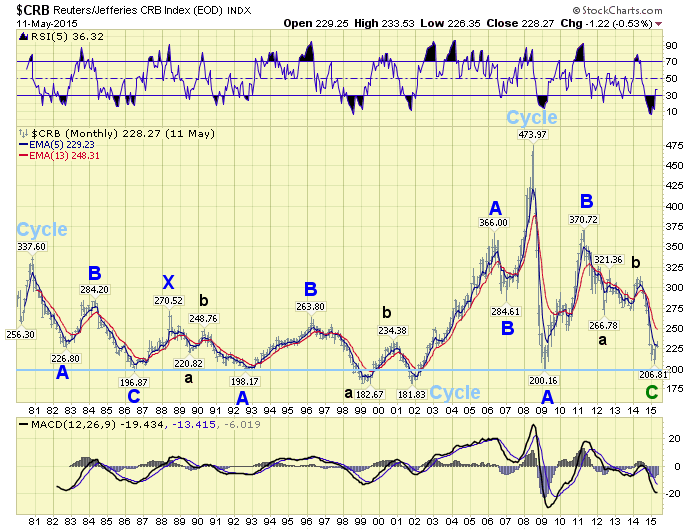 Notice the 21 year bear market pattern in the CRB from 1980-2001, a double three (abc-x-abc). A similar pattern should unfold during the current 20 year bear market. The GTX displays a slightly different pattern for its bull market from 1999-2008. While the CRB was late to get started, and only displayed an abc. The GTX started earlier and completed a five wave pattern into its bull market high. After that high they both begin to look quite similar. Recently, however, the GTX appears to have completed a complex flat from 2008-2015. This suggest a bear market counter-trend X wave may be underway from the recent low, lasting a few years, with a potential to rise back to around 5,000. 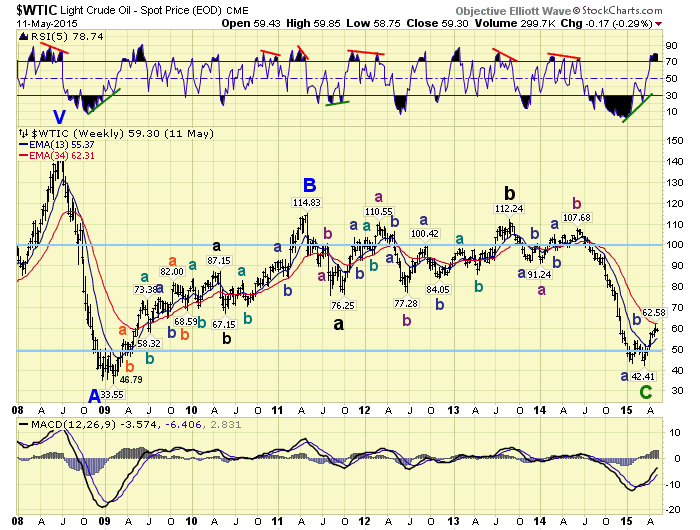 Since Crude oil is heavily weighted in the GTX this is goods news for the producers. The recent low has created a failed flat here, which is generally more positive. 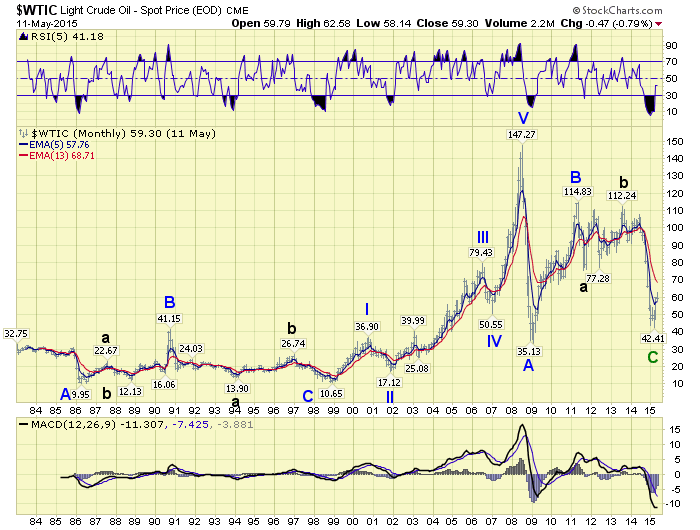 In fact, over the next few years, Crude could trade between $50 and $100. 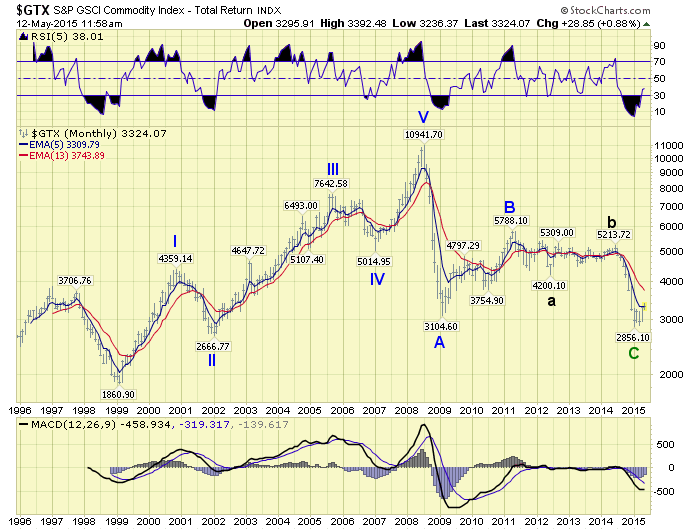 But the rise will probably be choppy like the B wave rally between 2009 and 2011, see below.